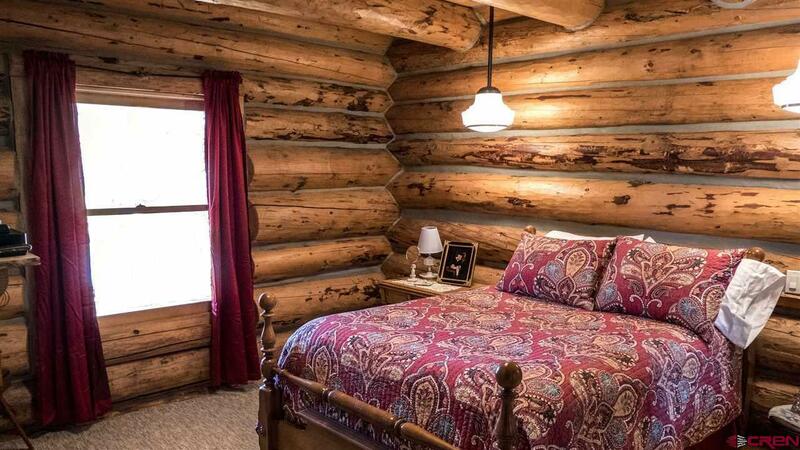 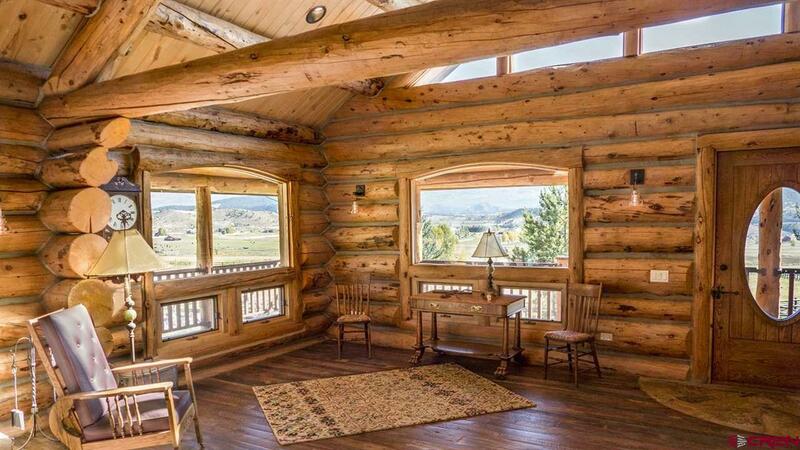 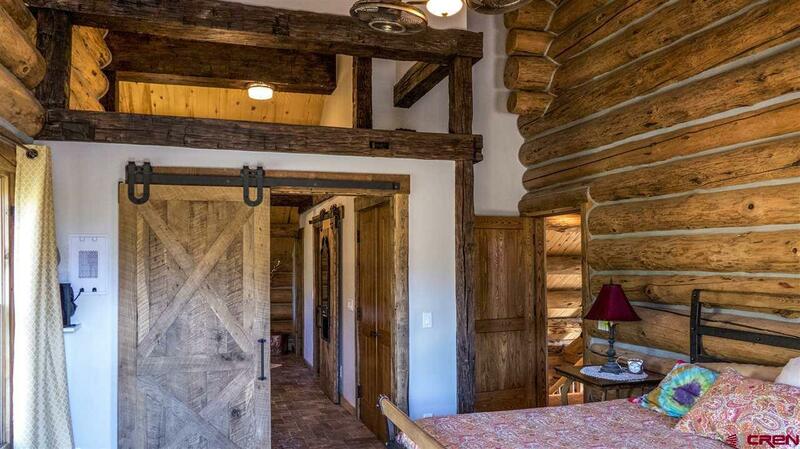 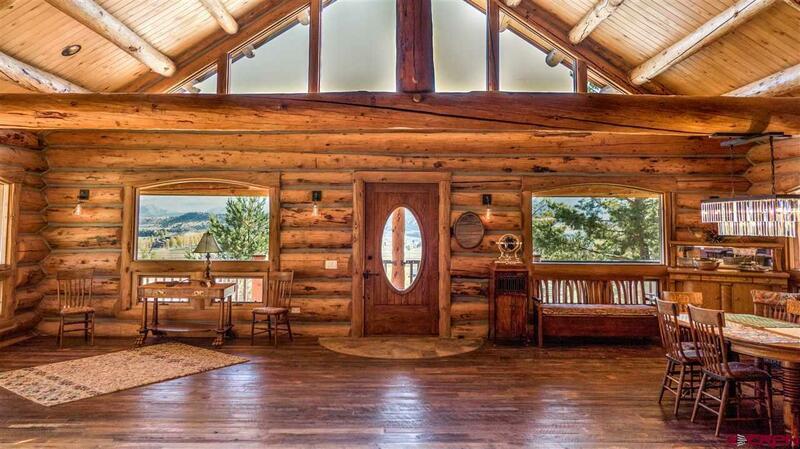 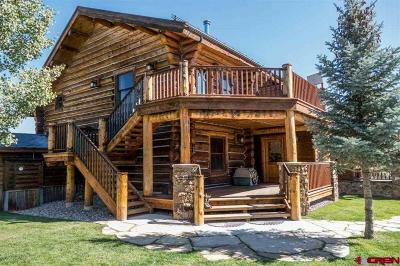 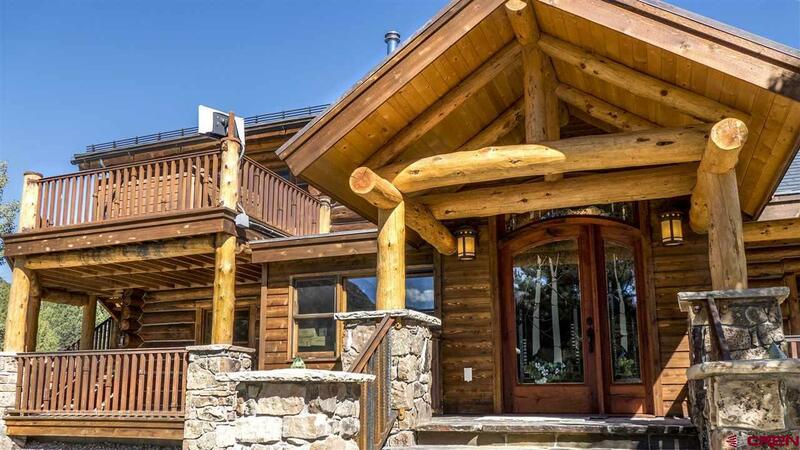 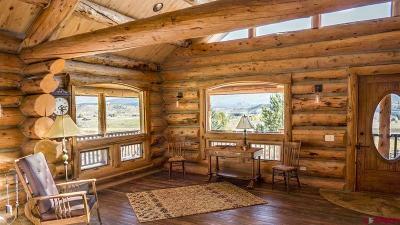 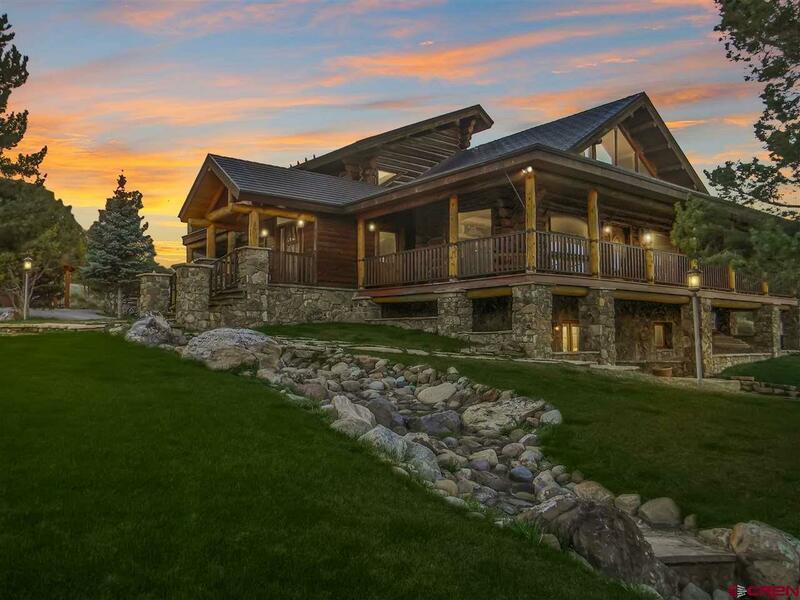 Welcome home to this stunning custom designed log home with spectacular views. 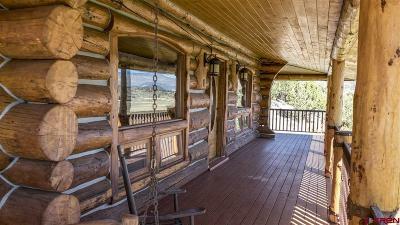 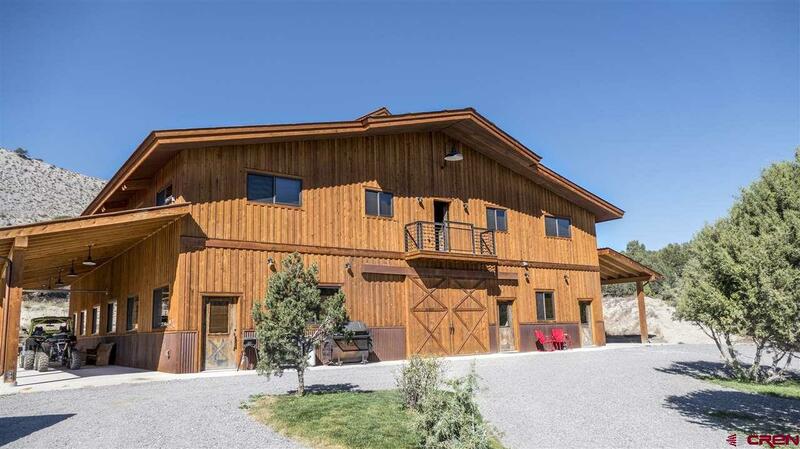 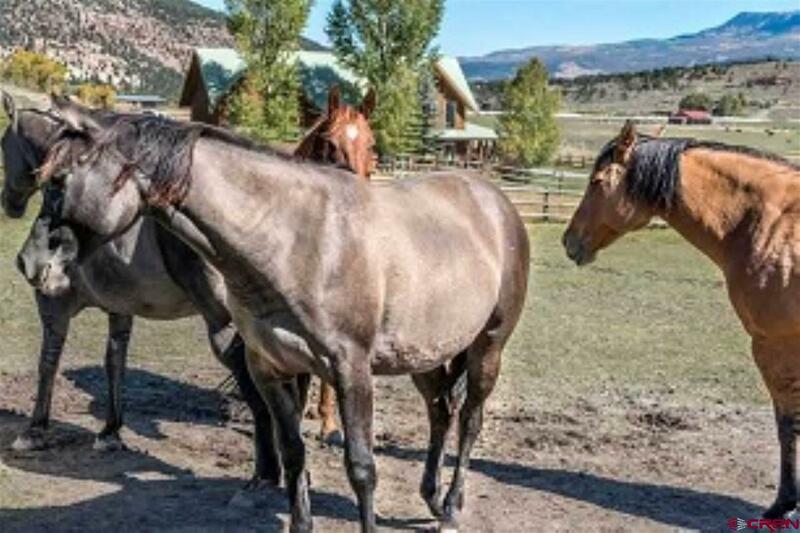 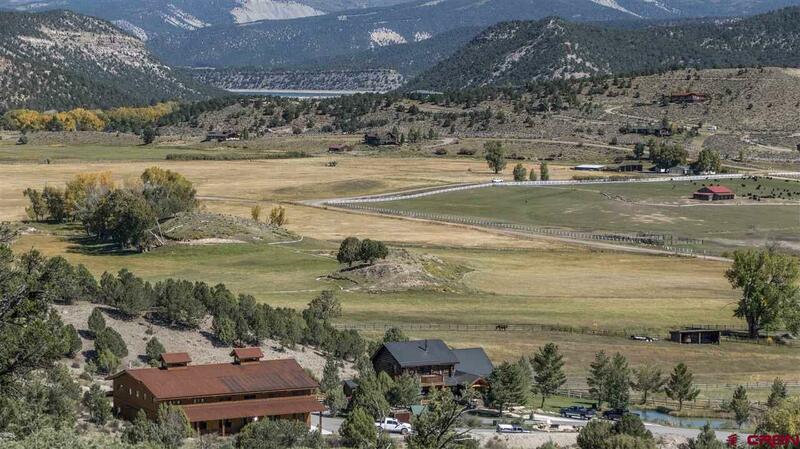 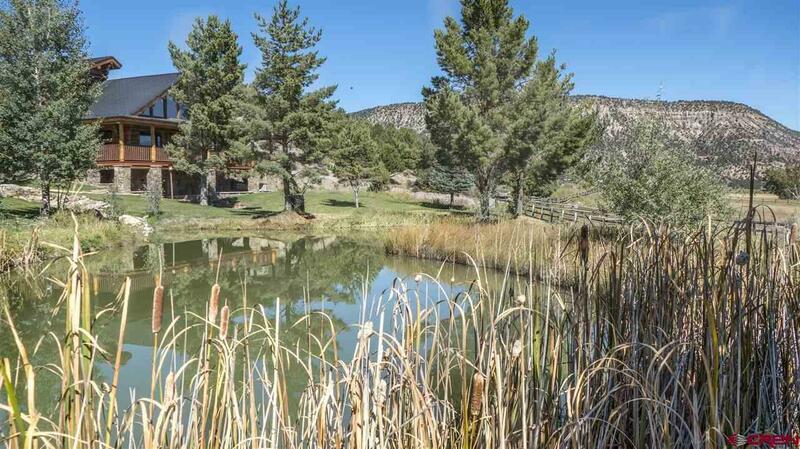 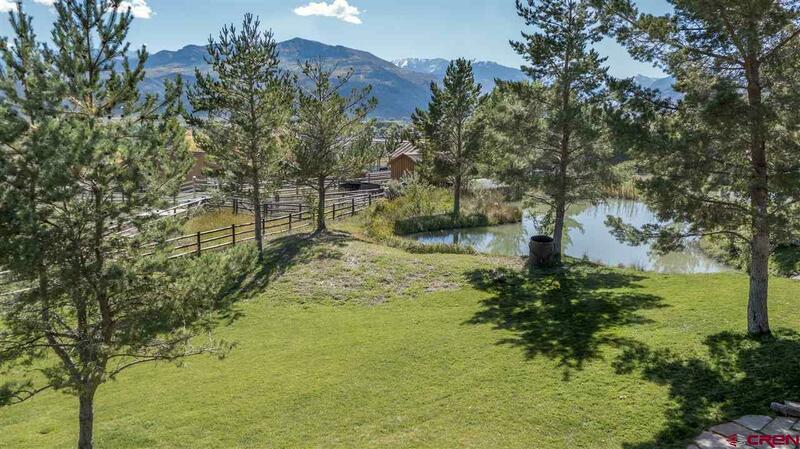 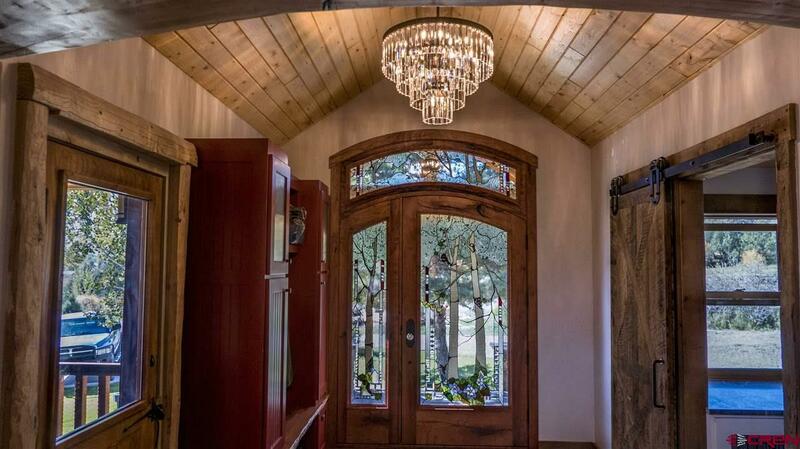 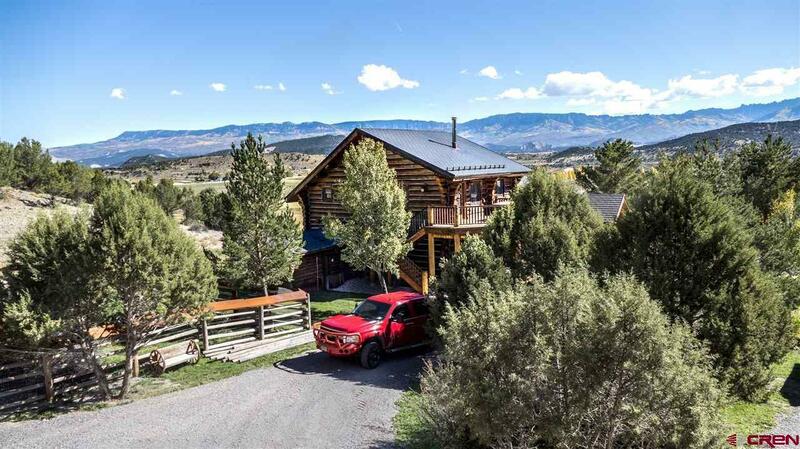 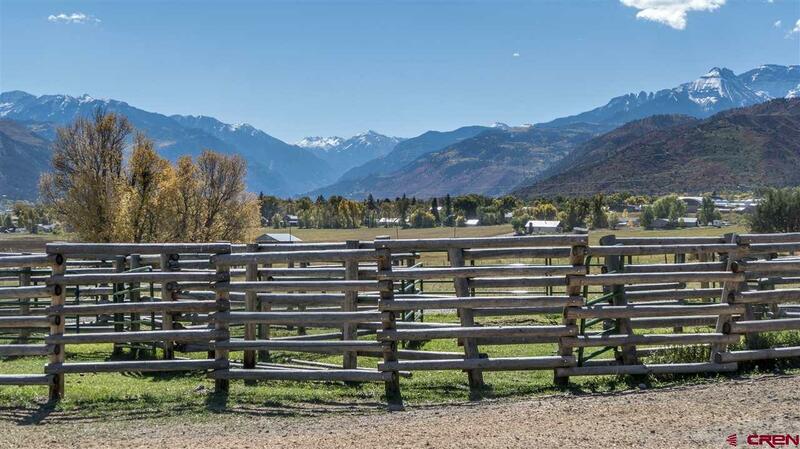 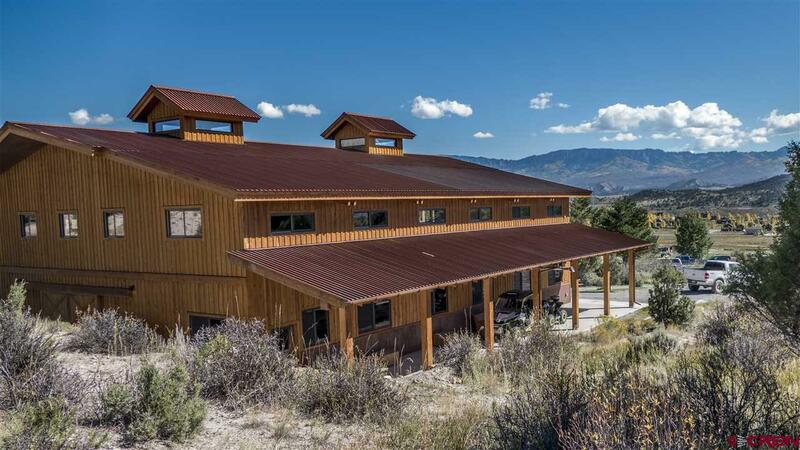 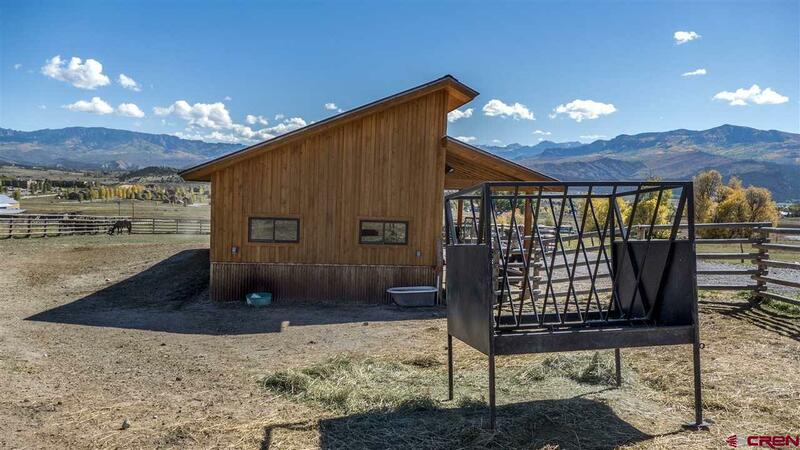 The home is situated on more than 8 acres with breathtaking mountain views. 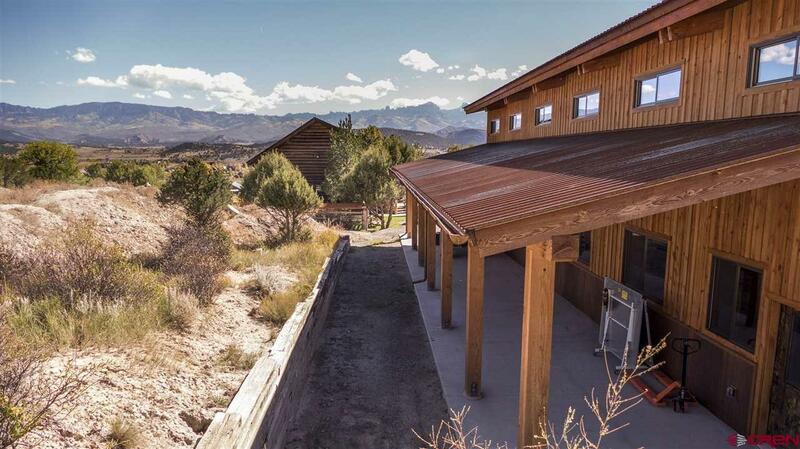 Entertain or relax on the expansive front deck and soak in the lovely views of Cimarron Mountain Range. 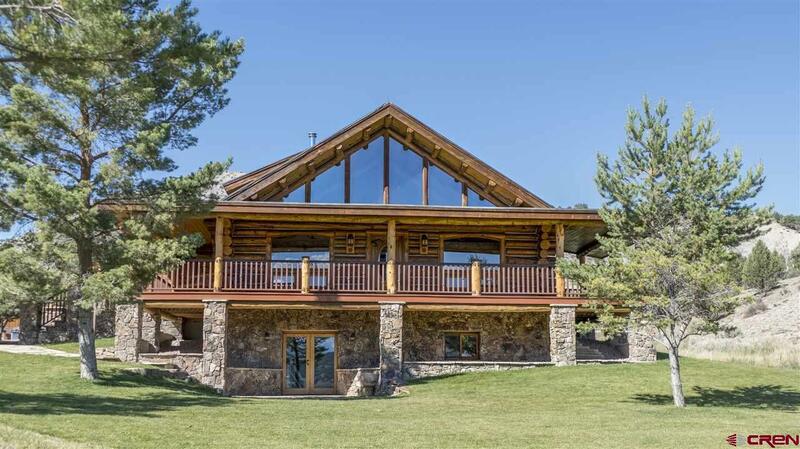 This beautiful home offers a great open floor plan with soaring ceilings. 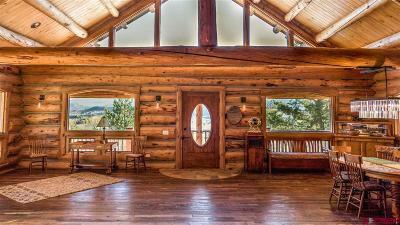 The expansive great room showcases a cozy lodge feeling with plenty of room for entertaining. 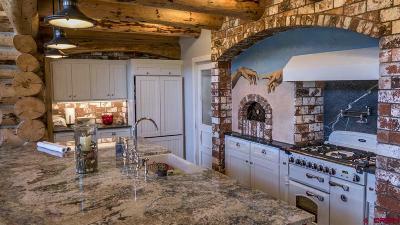 You will love the gourmet kitchen boasting gorgeous granite counter tops, pizza oven from Italy, a pantry and a center island with breakfast bar. 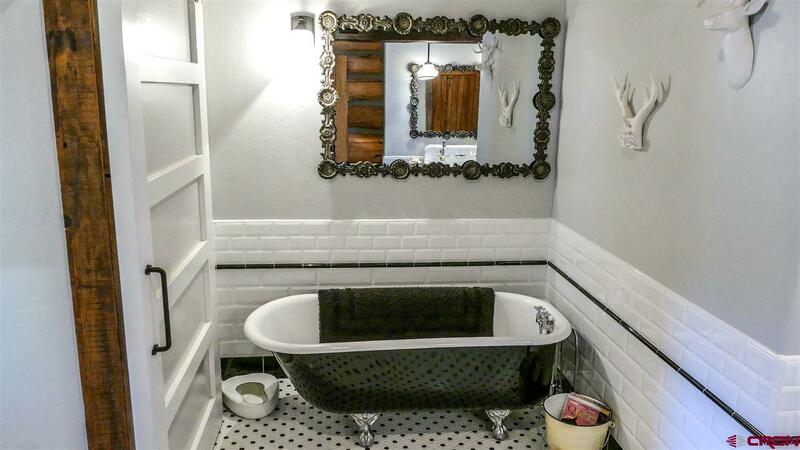 Enjoy the warm master bedroom, deck access and a luxurious master bath with a claw foot copper tub. 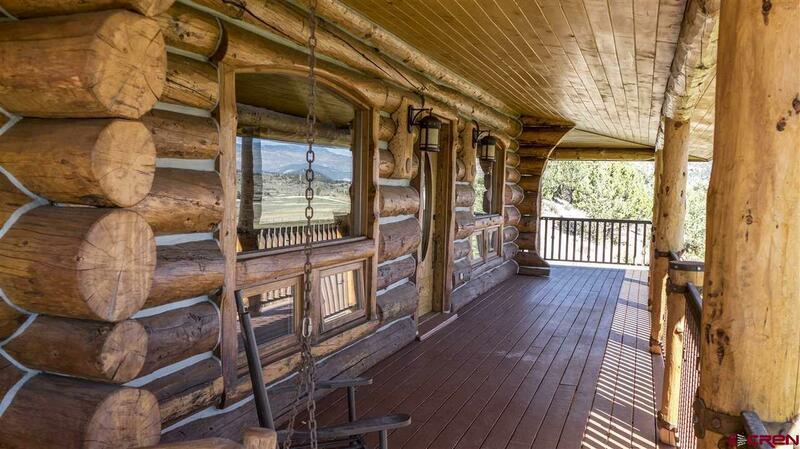 Spend time outdoors relaxing in the hot tub or enjoying views from the two decks. 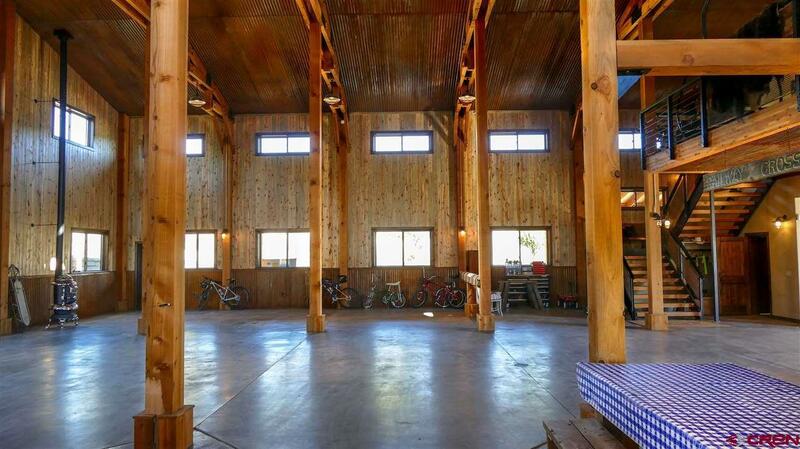 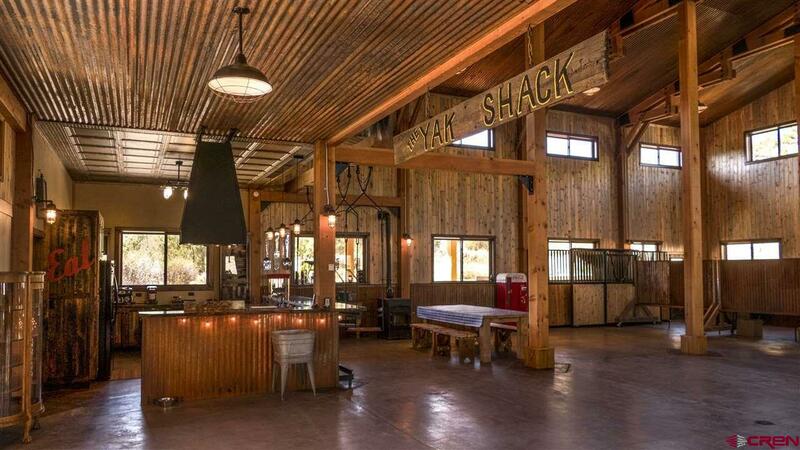 Additionally, this property offers a massive 4495 barn with living space and room to entertain 150 guests, complete with floor radiant heat, walk-in freezer, and separate septic system. Two water softeners and two security systems. 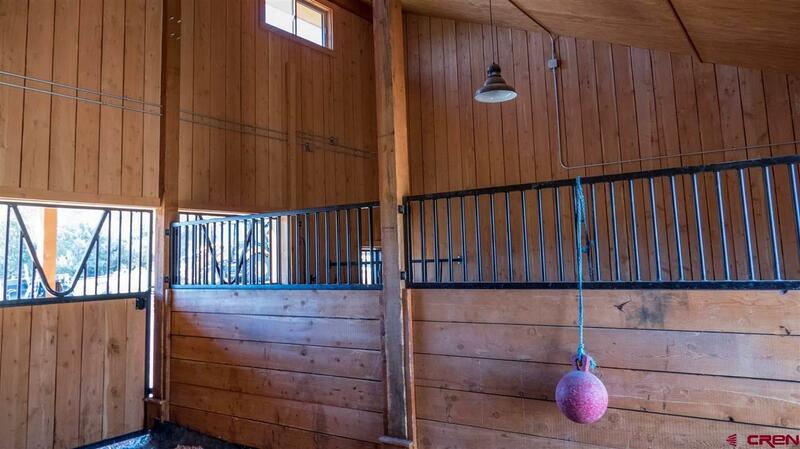 Horse stables, 1740 s.f. 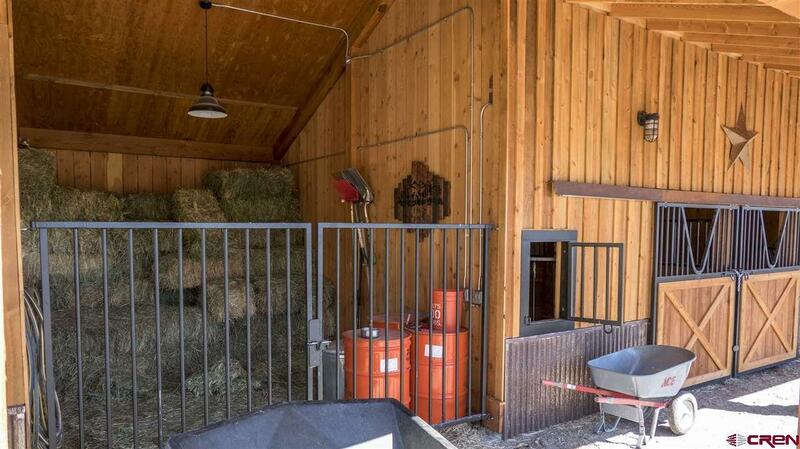 pole barn for hay/equipment storage, underground vault, separate septic, dog run and kennel all included. 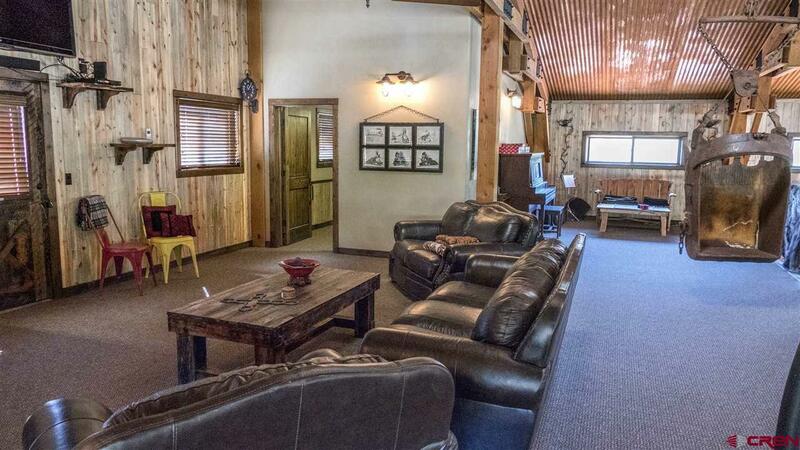 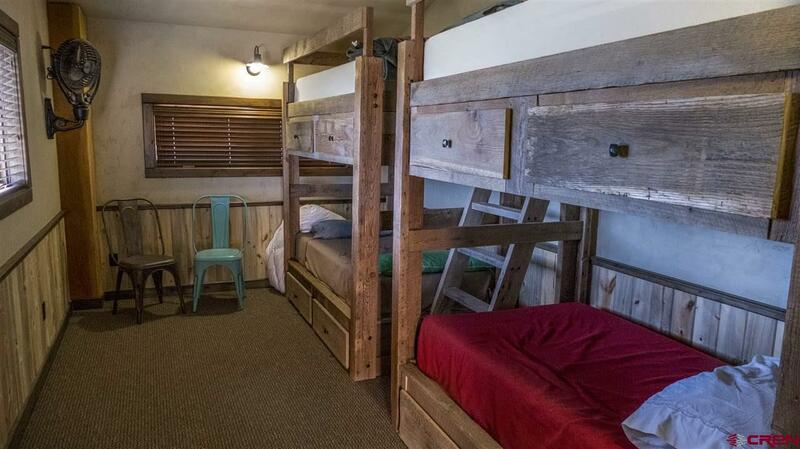 Plenty of space for all your toys & RV. This incredible home is Colorado living at its best! Come see it today!